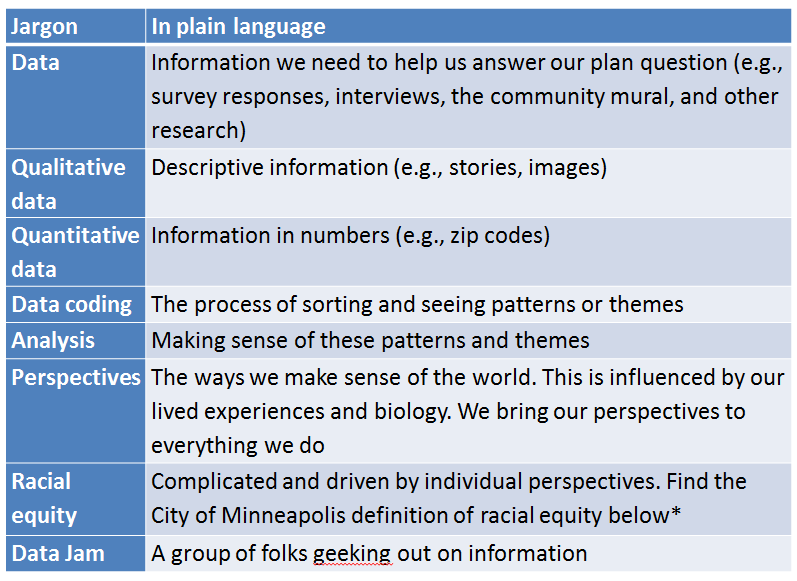 *Find the City of Minneapolis definition of racial equity here. 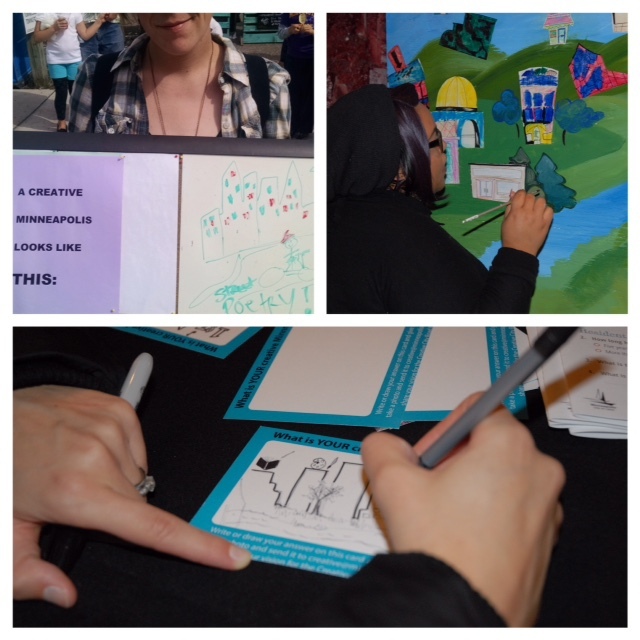 Clockwise from upper left: Artist Engagement Teams gather information at Open Streets. Community mural painting at Honey. 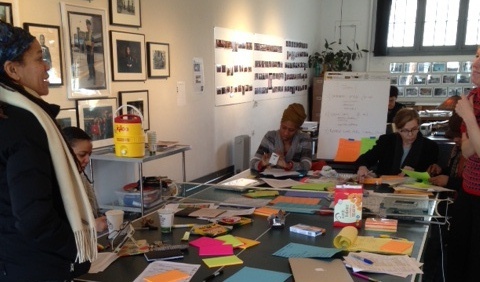 Collecting information through “what is your creative Minneapolis?” cards. A BIG thank you to everyone who completed the survey online or through creative engagements. We received 2,203 responses! The survey was developed to help answer some key planning questions surfaced by the Artist Engagement and Staff Teams. 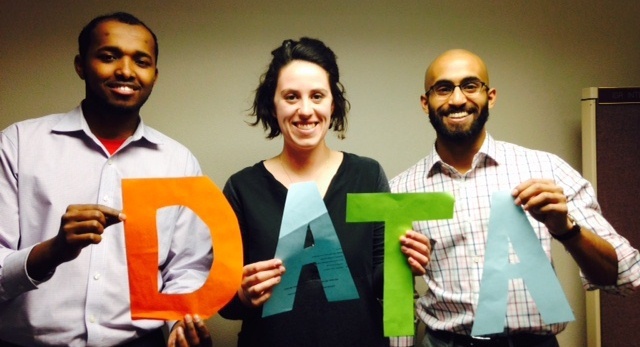 The Artist Engagement Teams gathered data through conversations with community members. What is your creative Minneapolis? The Artist Engagement Teams developed this question to capture personal stories, feelings and perspectives on multiple creative realities in Minneapolis. Some of you may have painted or drawn an image. 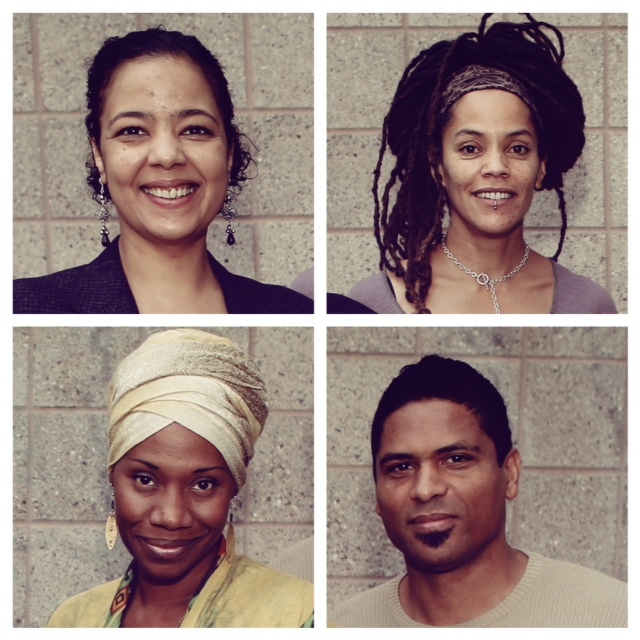 The Artist Engagement Teams developed these methods to capture personal feelings and images of a creative Minneapolis. The Artist Engagement Teams (Keegan Xavi, Chrys Carroll, E.G. Bailey, and Sha Cage) took the paper survey out into the community. They piggybacked on existing events, offering surveys at locations such as Intermedia Arts, the Playwrights’ Center, the American Indian Center, and Pillsbury House + Theatre. They also collected information through Hip Hop Caroling, community mural painting, one-on-one conversations, games, and prompting people to imagine their creative Minneapolis in words or drawings. Apr. 15, Data Update, 5:30 p.m., City Hall, 350 S. 5th St., room 319.: You’re invited to hear about some of the data analysis and research we’ve done so far. Meeting hosted by the Minneapolis Arts Commission. Apr. 17, Coffee Talk with Gulgun Kayim, 9-10:30 a.m., Café Southside, 3405 Chicago Ave. S.: Join Gulgun Kayim, Director of the Arts, Culture and the Creative Economy program, for her community office hours every third Friday of the month at Café Southside. The next Coffee Talk is Apr. 17.